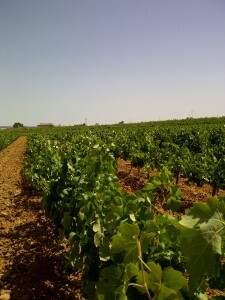 Friday 13th July, 4pm, 39ºC and it is hot, very hot here in the vineyards beside the Torre Oria winery in Requena. Healthy, well set bunches of Cabernet Sauvignon grapes are given shade and protection from the burning sun and hot breeze by layers of large bright green leaves. 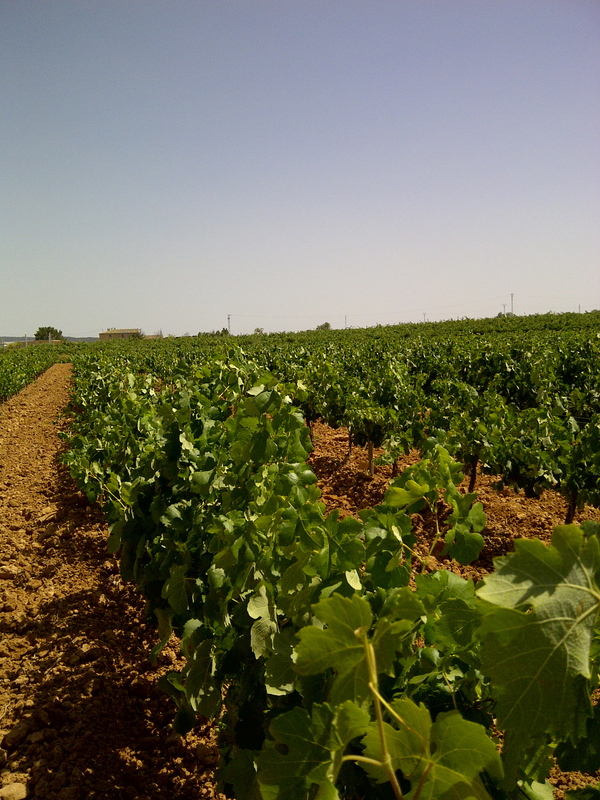 The vine are 50cm above the dry, crumbly, dusty, stoney,clay soil that deep below the surface retains moisture that feeds the plant with the water and nutrients. In front of the winery on the other side of the road, bush vines can be seen far into the distance. 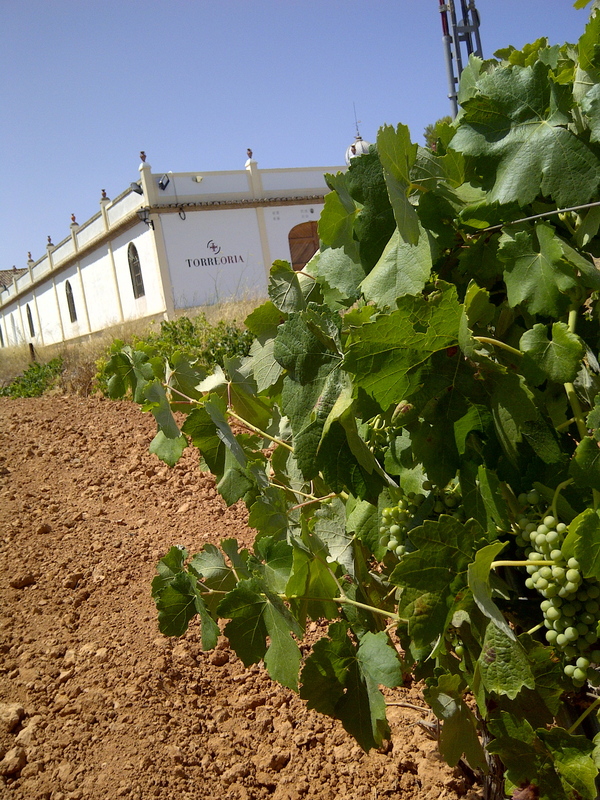 These are bobal grapes, a native variety to the area of Valencia. It has been a very dry winter, consequently the sizes of the bunches on these unirrigated vines are smaller. Still while yields will be down it looks like we will have grapes that have good concentration of fruit. What prevents the plants from shriveling under such relentless heat is the fact that at an altitude of around 500m the temperature drops at night by up to 15ºC to 20ºC allowing the plants to rest. All that could change if end of summer storms hit in September. More later….